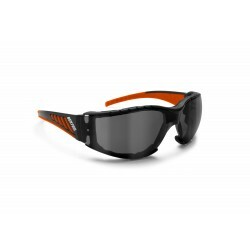 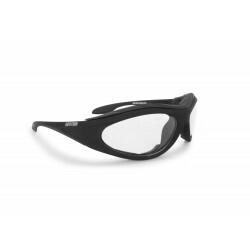 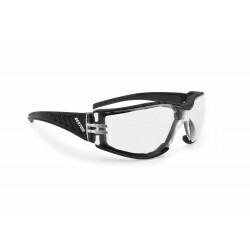 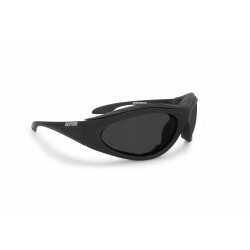 Frame made of impact-resistant polycarbonate. 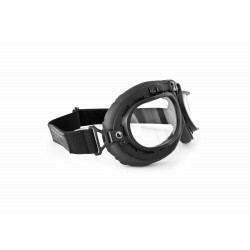 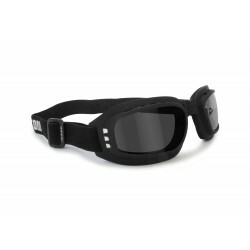 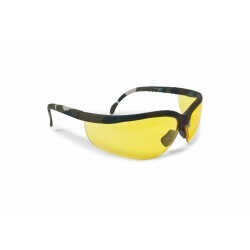 Interchangeable lenses kit include: smoke, clear and yellow (2.2mm of thickness). 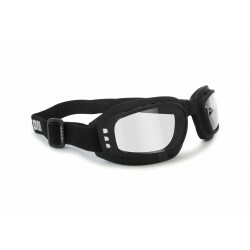 Temples adjustable in 3 different lengths. Certificated CE, FDA, EN and ANSI.